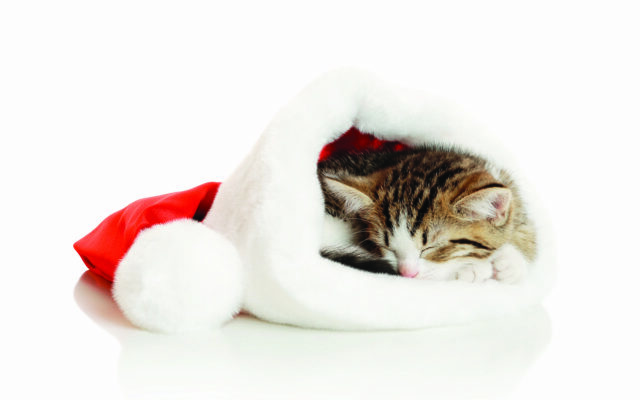 What you should know before giving a puppy or kitten for Christmas. By now, Santa has lost count of how many kids have asked for a new puppy or kitten to be under the tree Christmas morning. And really, few things bring more smiles than the surprise of a wriggling, tongue lapping, furry bundle of joy exploding out of a gift box. But should animals even be considered as part of a holiday gift exchange? As far as Santa and the Bangor Humane Society are concerned, as long the recipient is on the nice-not-naughty list and is prepared for the responsibility of a new fuzzy family member, it’s a perfectly good idea. To make sure you are on the BHS’ nice list, according to Coventry, a person must be 100 percent honest with themselves and with a breeder or shelter on why they are opting for a pet as a gift. Coventry calls the steps in selecting just the right pet at just the right time for a gift “mindful matchmaking” and it’s done with both humans’ and animals’ wellbeing in mind. Many times grown children are convinced a cat or dog is the “perfect” gift to be a companion for an elderly parent or relative who lives alone. While that can be a great idea, Coventry said, it requires some serious thought. Family members with good pet giving intentions must also be confident the intended elderly recipient has the financial resources to spend on a new pet’s food and care, or be prepared to step in to help out with the costs. Having the conversation with the recipient on exactly what they might like to have helps the shelter staff find the right match, Coventry said. An alternative to presenting a pet on Christmas morning, Coventry said, is instead giving a gift certificate from the shelter and then coming in as a family to select the perfect pet when the holiday dust settles. Speaking of that holiday dust, Coventry noted Christmas is a hectic enough time for people, so imagine a new pet’s perspective. Unwrapped boxes, tasty human treats possibly within reach, music and all the holiday cheer can be overwhelming for a weeks-old puppy or kitten. Homes are bedecked with poisonous plants (like poinsettias) lit candles and fragile decorations, all of which are decidedly not pet-friendly. In addition, routines are set aside in favor of rounds of parties, visiting relatives and vacations. But none of those need be deal breakers. And think of all the accompanying gifts for years to come. Cute little dog or cat outfits, pet-appropriate treats, toys and beds are just a few that any four-legged family member would love to see under the tree. The more ambitious pets will even unwrap them for themselves — along with your gifts, if allowed, as a fun Christmas morning game. Above all, Coventry said, be aware and respect the new pet’s boundaries. Among the best ways to get the family and new pet off to a good start, Coventry said, is a post-holiday meal stroll around the neighborhood.